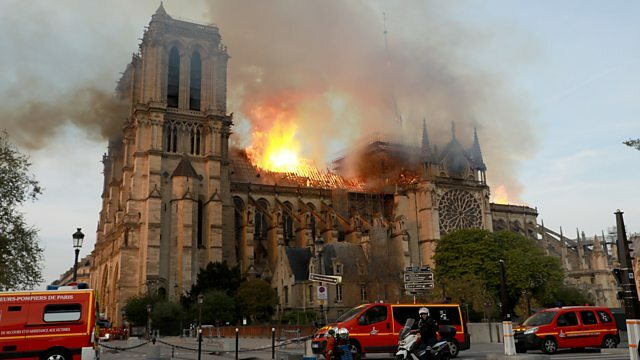 The iconic spire at the top of Notre Dame Cathedral in Paris has collapsed after a major fire broke out. Flames engulfed the roof of the 850-year-old Gothic cathedral and spread rapidly across the building. Also on the programme: The International Committee of the Red Cross has made an appeal to find three employees who were abducted in Syria more than five years ago. And the island of Madagascar is facing its biggest-ever outbreak of measles.